Interior Department leaders in President Donald Trump’s administration are aiming to boost oil and gas activity over a 22 million-acre swath of the North Slope by rolling back some of the leasing restrictions put in place by their predecessors. 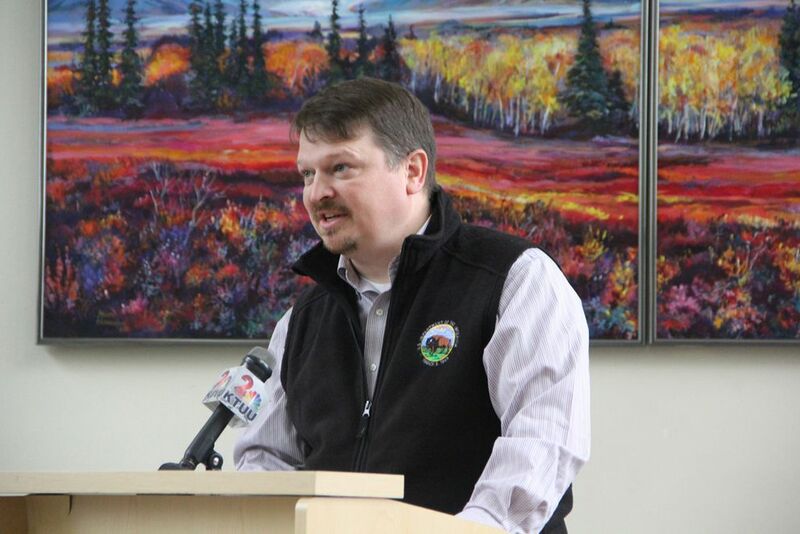 Assistant Interior Secretary Joe Balash said in a Monday call with reporters that Interior will soon begin evaluating where the 2013 Integrated Activity Plan for the National Petroleum Reserve-Alaska can be revised. The Bureau of Land Management was scheduled to start a 45-day scoping period Tuesday to seek input on what should be considered in drafting the environmental impact statement that will drive the work. Balash indicated that the emergence of the Nanushuk geologic formation since the last plan was written — the primary source for two discoveries with the potential to produce upward of 100,000 barrels per day each — as well as advances in drilling technology make it an appropriate time to rewrite the federal land-use plan. One of those large discoveries, ConocoPhillips' Willow prospect, is in the eastern part of the NPR-A. BLM is in the early stages of an EIS for the $4 billion to $6 billion Willow project. Balash said rewriting the NPR-A Integrated Activity Plan should take about a year or a little longer. “We’ll let the information that comes in and the comments we get from our stakeholders and cooperators help guide our decisions but we’re pretty excited about this,” he said. Last December, the USGS dramatically increased its mean recoverable oil estimate for the reserve to roughly 8.7 billion barrels. Conservation groups urged caution when ConocoPhillips submitted its Willow plan to BLM, stressing the importance of the nearby Teshekpuk Lake area as waterfowl and caribou habitat and subsistence harvest areas. Audubon Alaska Policy Director Susan Culliney said in response to the land-use revisions that the current plan already allows for development in some areas while protecting others, such as Teshekpuk Lake. “Despite its industrial name, wildlife abound in the NPR-A,” Culliney said in a formal statement. Balash said Interior acknowledges that tension. Balash, a former Alaska Department of Natural Resources commissioner, cited a Nov. 2 letter sent to him by current DNR Commissioner Andy Mack and the North Slope Borough in which they asked him to consider the state’s and borough’s desires to develop a North Slope road network and possibly gas utility infrastructure but with considerations for subsistence activities. The North Slope Borough is a major financial benefactor of oil development in the NPR-A as the local government, by federal law, is eligible to use up to half of the federal royalty revenue from oil production in the NPR-A for capital grant projects. BLM is offering 254 tracts covering roughly 2.8 million acres in its annual NPR-A lease sale. Balash said heightened interest from industry is expected given excitement surrounding the Nanushuk prospects and improved oil prices. This year, the agency offered only the tracts industry suggested, he said. The bids will be opened Dec. 12. Elwood Brehmer can be reached at elwood.brehmer@alaskajournal.com.